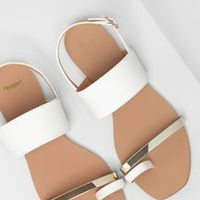 When summer arrives it is time for us to put away our boots and jackets and splurge on some gorgeous sandals, the straps showing off our pedicures to perfection. 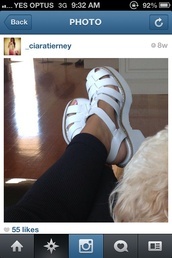 What could possibly show off our tans and cute pastel nails better than a pair of white sandals? So versatile and functional, they look great when worn with a girly floral printed dress or a hipster pair of jeans and buttoned down shirt. 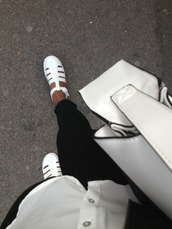 No matter whether we want to recreate a look we have seen on Tumblr, or we want to create our own, it is easy to style a look around a pair of white sandals that looks chic in the city or on the beach.